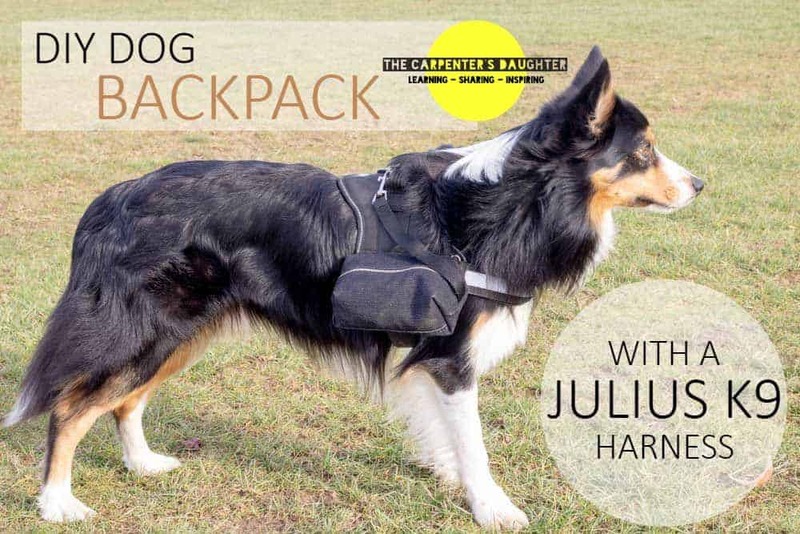 In this tutorial, I show you how I made these DIY side bags for my dog’s Julius K9 harness. I’m particularly proud of my new DIY dog backpack. I hadn’t realised for months until that my dog, Hans’ Julius K9 harness came with velcro straps. I thought they were just for branding to be honest. But one day I pulled them off out of curiosity. Once I discovered I could do more with it, I started looking on Amazon. Ordinarily I probably would have bought them, but the branded ones were a staggering £35! Not to mention the reviews weren’t that great. So I asked myself: Could I make my own backpack? It’d be undoubtedly useful. Obviously Hans could share some of the weight on our travels. For example, dog treats or a tennis ball. Perhaps maybe my phone while we’re out running? 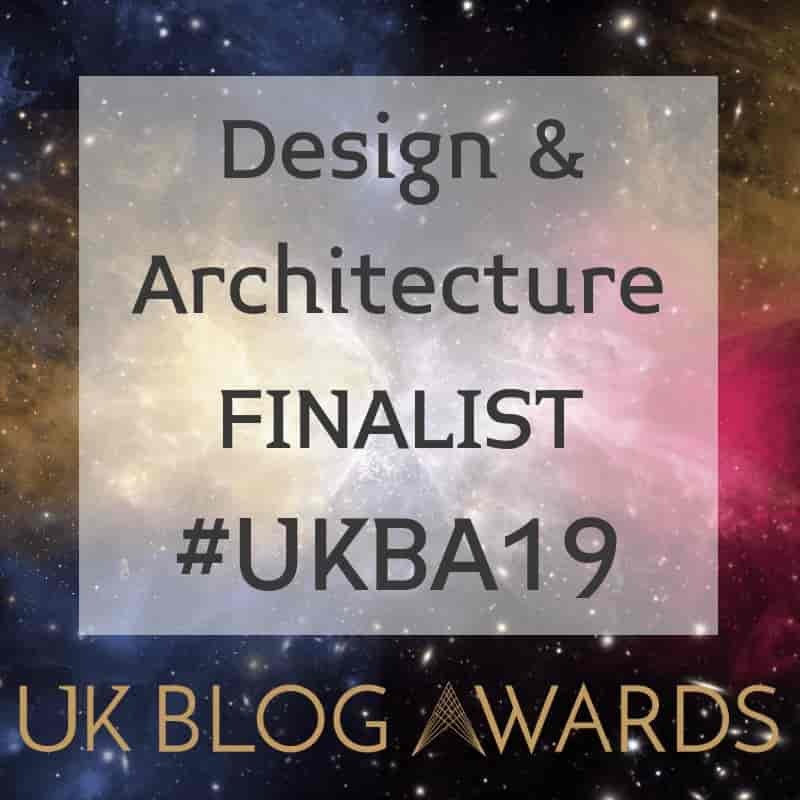 I also have another secret reason why, which I’ll share with you in due course! Initially I had in mind some flat pouches with zips along the top. Similar to two matching pencil cases with velcro attached. However, I opted for a box style as it looked more stylish, relatively easy and allowed wider too. Also, my first prototype was far too deep on the shortest side and narrower velcro. It just seemed like it would almost fall off at any moment. I wanted something to last. And for that reason, anything bigger, (at least for the Julius K9 size 0) and I think it wouldn’t work. As a result, you can see two side bag pouches, similarly like a handy bike pannier. On the inside of the pouches there is a wide velcro strap fixed to the harness. In addition, I have some straps sewn in to the seam, which has the result of being able to be attached by clip to the harness loop. This even acts as a fall back up, for example in case Hans gets it caught on a branch. Furthermore, if we’re just going for a short walk in the park, they can be removed with ease. Although, to be honest, they’re so lightweight, I doubt it will matter that much. DO THE POUCHES COME OFF EASILY? Above all, the most important thing I wanted was to design something that didn’t fall off. 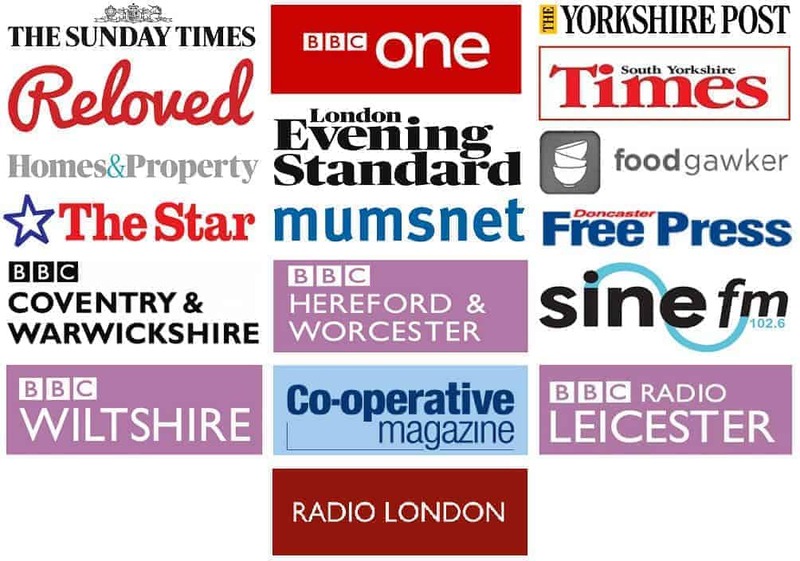 I’d previously read mixed reviews of the official Julius range which I’m almost certain helped my my design. 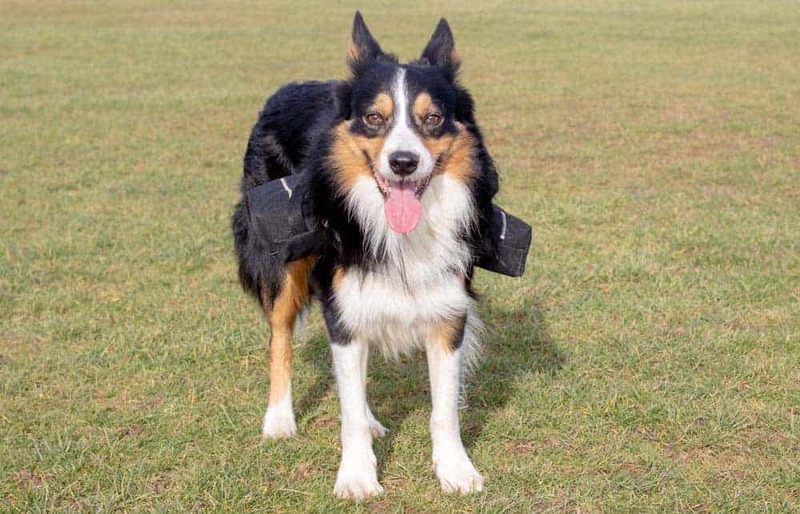 We’ve since tested Hans out in the park and he’s a very active Border Collie. 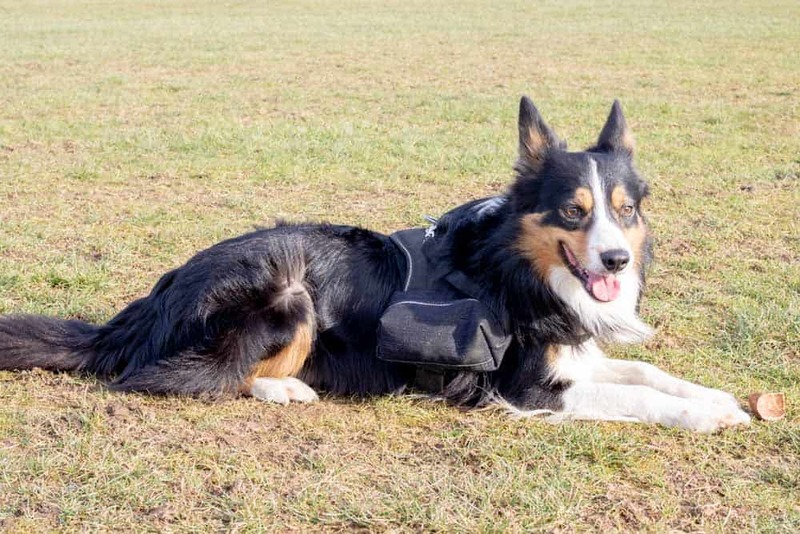 He loves to run, hard and fast, and in spite of this, the pouches don’t fall off. Obviously I’m not going to carry bottles of water in it. Perhaps mini ones maybe? Nevertheless, I don’t think even the store bought ones do either. I’ll definitely take care of what I’ll put in it for security reasons, just in case! However, you’re welcome to comment with any of your design ideas or maybe some other new attachments you think would work? DO I NEED A SEWING MACHINE? In fact, as well as that, some find hand sewing very therapeutic. Even entire patchwork quilts. On the other hand, I much prefer to use my machine. This is mostly because I don’t know many types of stitches. However, it’s going to probably take ages. But if you’re on a budget, it’s amazing where a bit of determination can lead you. WHAT SIZE POUCHES ARE THEY? 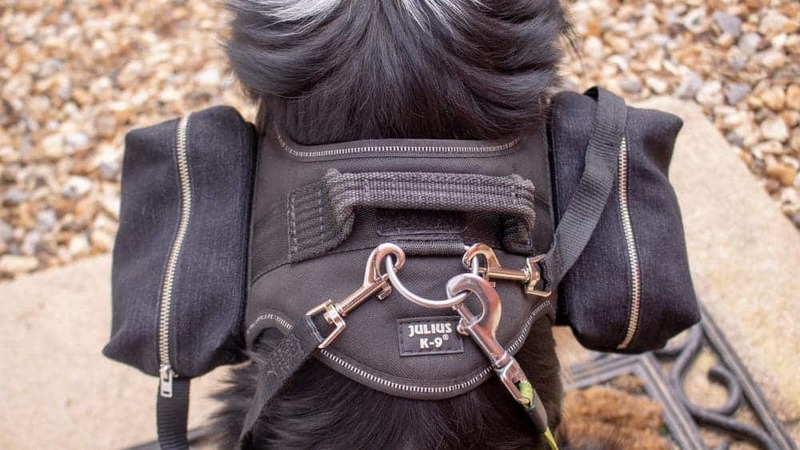 Also, when it comes to the straps, they have an exposed length of 10″, allowing to reach your Julius K9 harness. However, always make sure when cutting your straps that will have enough to reach the harness clip. Getting back to the strap, I also designed it with an internal loop to attach another hook. This is great for attaching a house key as these days, when I go out running, I like to go light. However, it’s worth noting that this also comes with a security risk if your dog likes to run off. Or, say you leave your dog outside in a public place. But I love how my dog can bounce like crazy and there’s absolutely no risk that he will lose it. Indeed, fabric isn’t cheap and here in the UK. In fact, I’ve found that material shops are now few and far between in many towns. But it’s important you pick a type with some weight for it to keep it shape. So with that in mind, I chose to recycle some old denim jeans. WHERE CAN I BUY CHEAP FABRIC? You can buy much material cheaper online. However, it’s not the quickest method when you want to create something right now. And I’ve always found it hit and miss because you can’t feel it if it’s right. 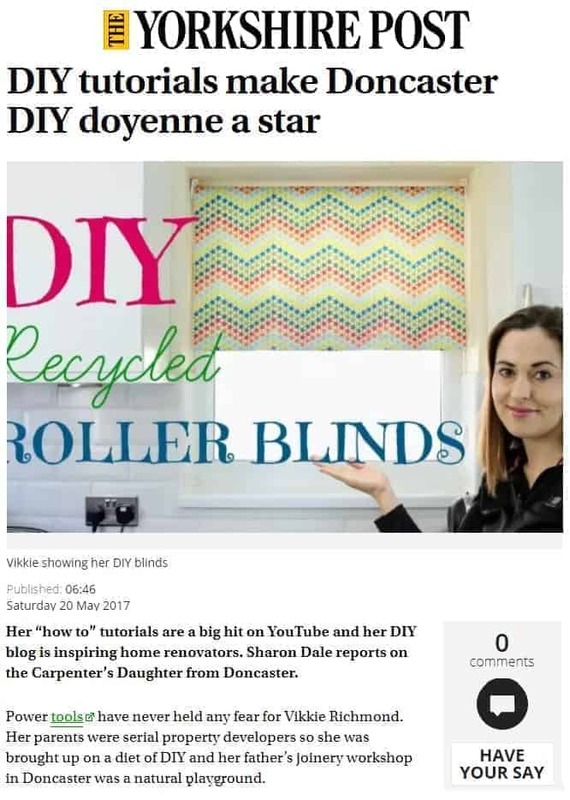 You’ll also see what I mean in my DIY canopy project last year. So other than visiting, say the Birmingham rag market for your DIY dog backpack, if you want to buy cheap denim, consider finding jumble sales. Most I’ve been to have an abundance of jeans and usually about 25-30p each. Or check in your local charity shop. To make my dog walking backpack, first of all, I first cut the hem off my black jeans (top left). I generally finds unpicking takes far too long. And usually, this creased area is a nightmare to work with. 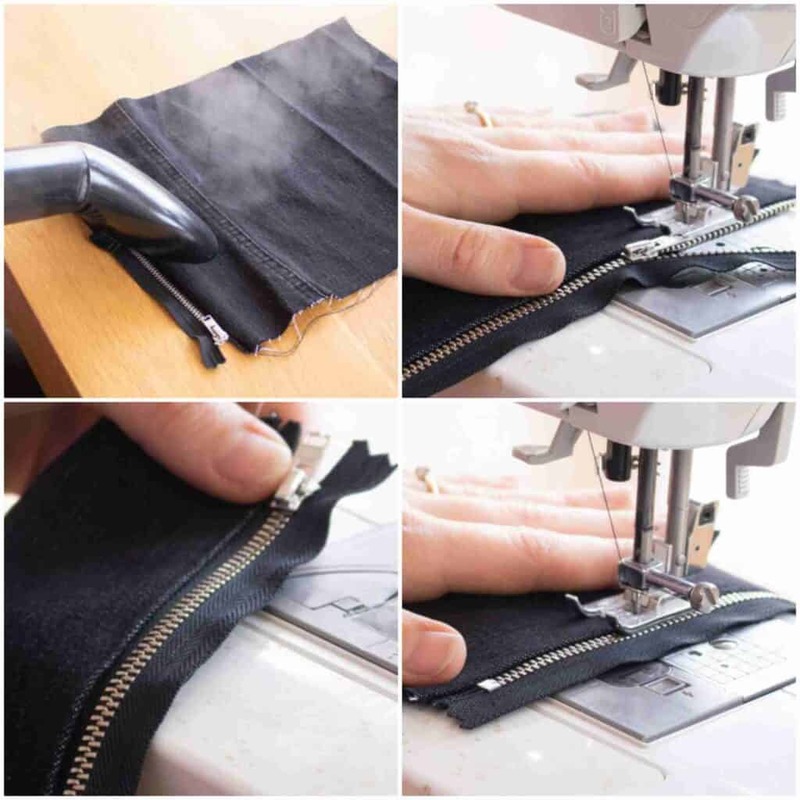 Then I held a 20cm (8”) long black YKK trouser zip against the width of one of the legs at the top and bottom while lining up with the start position. Then marked where they ended with white tailor’s chalk and drew a straight line with a ruler or in my case, a straight wood. Important notes: These jeans are a UK size 12, but for this to work, you’ll need them to have a depth (top to bottom) of 6” while laid flat. Also, despite the zip being 20cm long, we’ll be later turning the pouch in to a box design, meaning we’ll lose 5cm in length. Once you have a straight line, this is where you need to cut. You could do this with either a sharp pair of scissors, or usually my favourite (but misplaced), rotary cutter, mat and Omnigrid board. You’ll also probably find the latter gives a cleaner, sharper edge, but don’t worry if you don’t have them. I didn’t on this occasion and they certainly didn’t stop me working. However, with it being denim, try not to touch the raw edge as it has a tendency to fray. You can trim off some excess later with pinking shears as shown further down the page. Now we need to lengthen the piece of cut up leg. 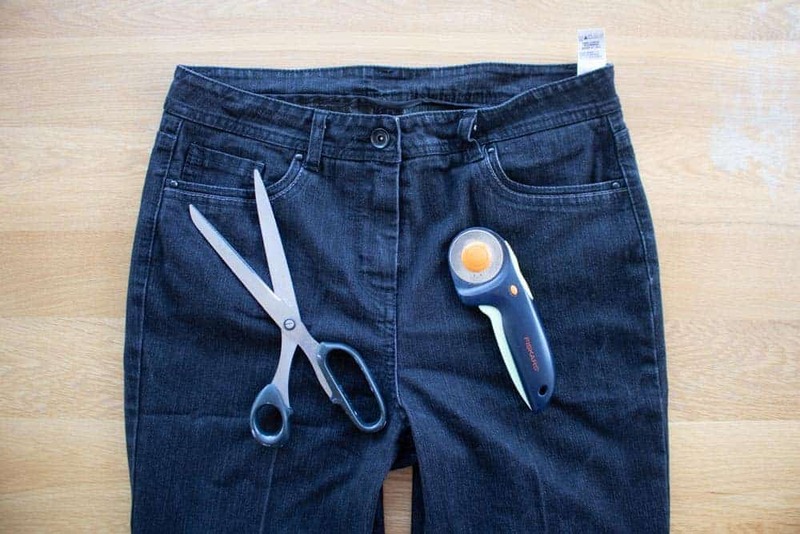 Next, start by turning the jean section inside out. And to make sure I started with a clean edge, I cut the uglier protruding seam off and discarded. Then finally, open out your now rectangular piece as shown below. WHAT SIZE FABRIC DO I NEED? In addition, to create our dog saddle bags, (above), I’m now measuring and marking 12 inches on the longest side with chalk. I then followed by doing this for the top and bottom. And to draw my line, a ruler would of course been ideal, but instead I used a straight piece of wood. Now finally cut the excess off and discard the smaller piece (as in my case). You should be left with a 12″ x 8″ piece. 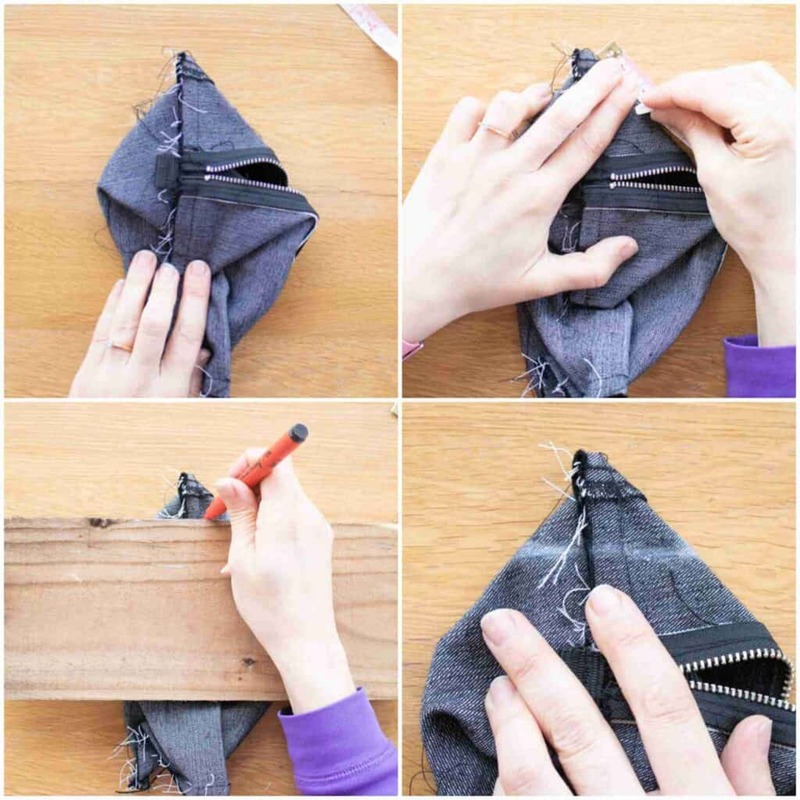 If you’re recycling, you may also want to sew the very end together now. However, my metal one above was so much easier. So, firstly, face the right side of the zip against the right side of the denim and pin in to place with quilter’s pins. And along the top that’s the same length as the zip. The “right side” of the fabric (or zip) is the front which people will see. Now, using a basic running stitch on a sewing machine and sew as close as you can comfortably along the side of the metal. 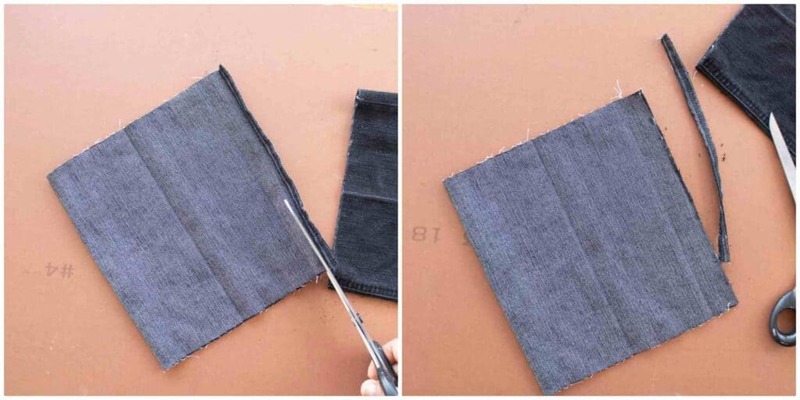 If your denim is very thick with no elastane, you’ll need to use a denim needle. If you don’t have this needle, just take your time and be gentle with your machine to prevent is snapping. Also, I like to sew over the first and last stitches again to reinforce them with my reverse stitch. That’s because these are the areas that will have some strain on them. TIPS: You’ll need to stop when you get closer to the puller, move it out of the way and continue. 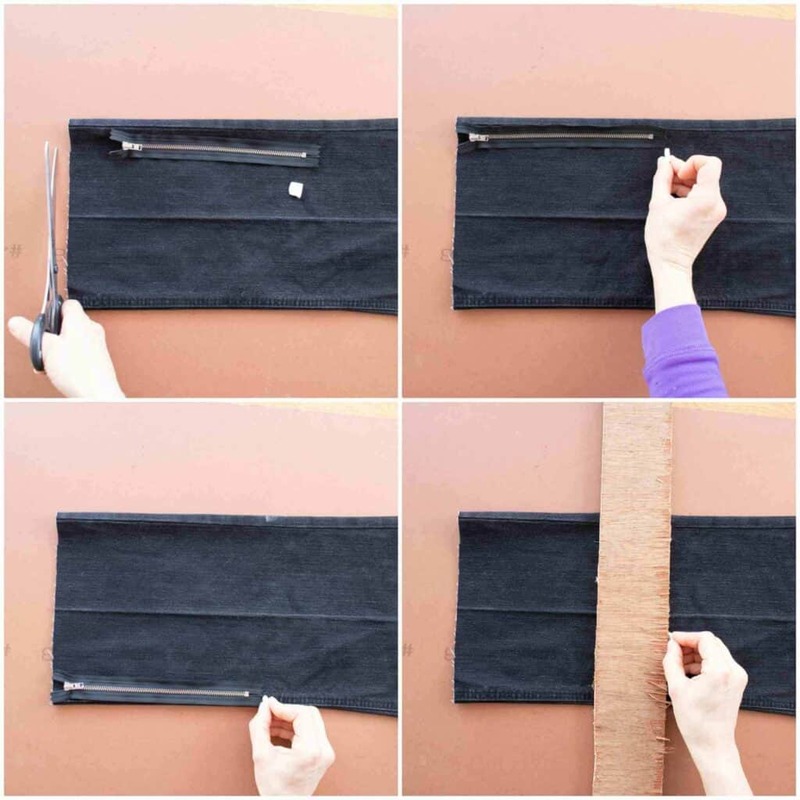 Once you’ve made your row of stitches, unfold the zip and fabric and either press down the fabric with an iron or steamer. Then we need to sew on the right side of the fabric where it is attached to the zip. This will keep the pressed section down. 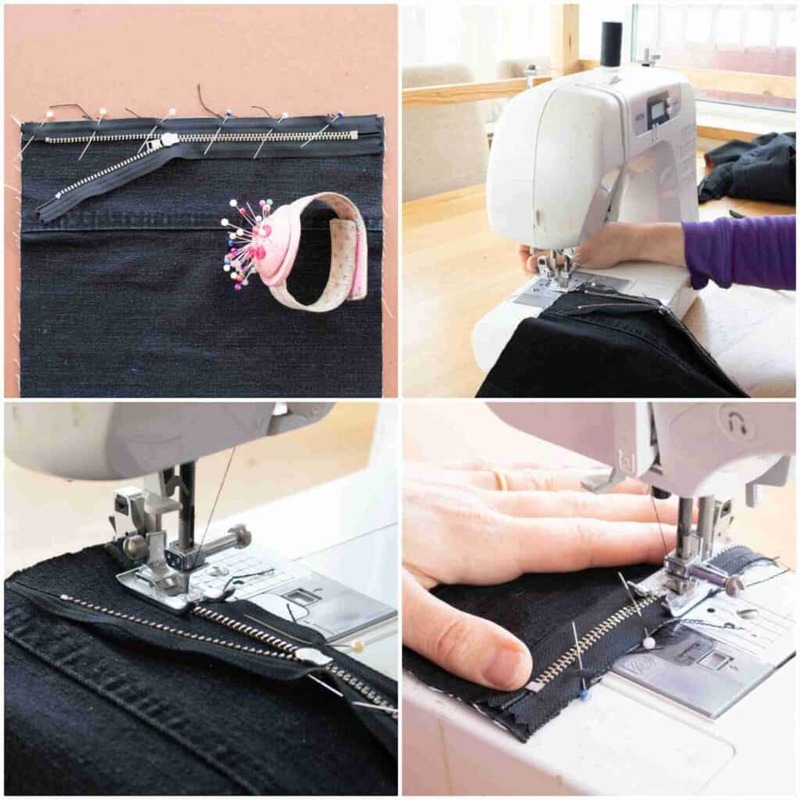 However, make sure when you’re sewing, it also sews through to the zip fabric too from behind. Tip: I sewed about 2mm away from the pressed fold which gives a neat and tidy finish. At the side of my Julius K9 dog harness, there is a Velcro patch on either side. Above, I removed the brand name, then held some self adhesive 50mm Velcro against it to determine the length I needed. NOTE: I did NOT cut to the length of the label as it is shorter at the strip fixed on the bag. This is another reason I didn’t just sew the Julius-K9 branded strip I took off directly to the bag. It’s better to go bigger for extra strength. To position your Velcro strap, we need to do a little bit of planning ahead as we don’t have our box shape yet. 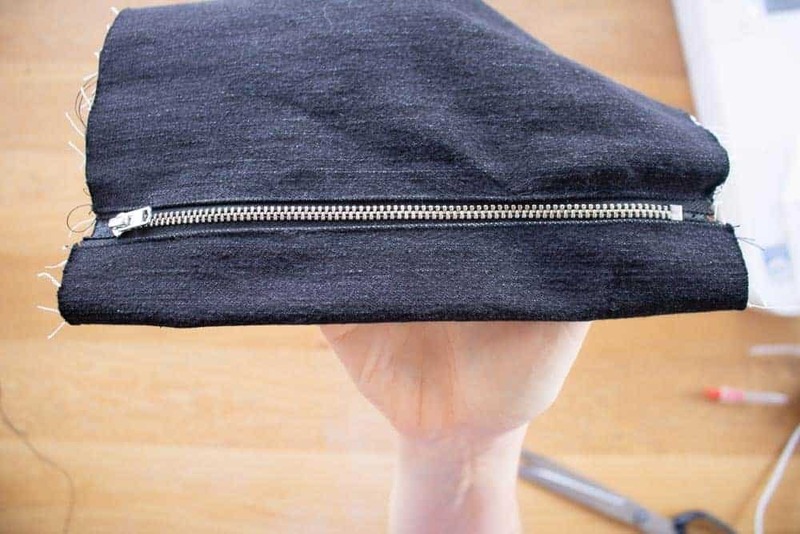 So firstly, lay and fold the zip pouch flat, pretending it’s all sewn together. Don’t get hung up on seam allowances. Just make sure it’s laid it out symmetrical as you much as you can. My pouch measured almost 3 inches on either side up to the zip. Now mark half way on any of the sides if this is your first pouch. If this is your second one, you MUST read the red writing below. 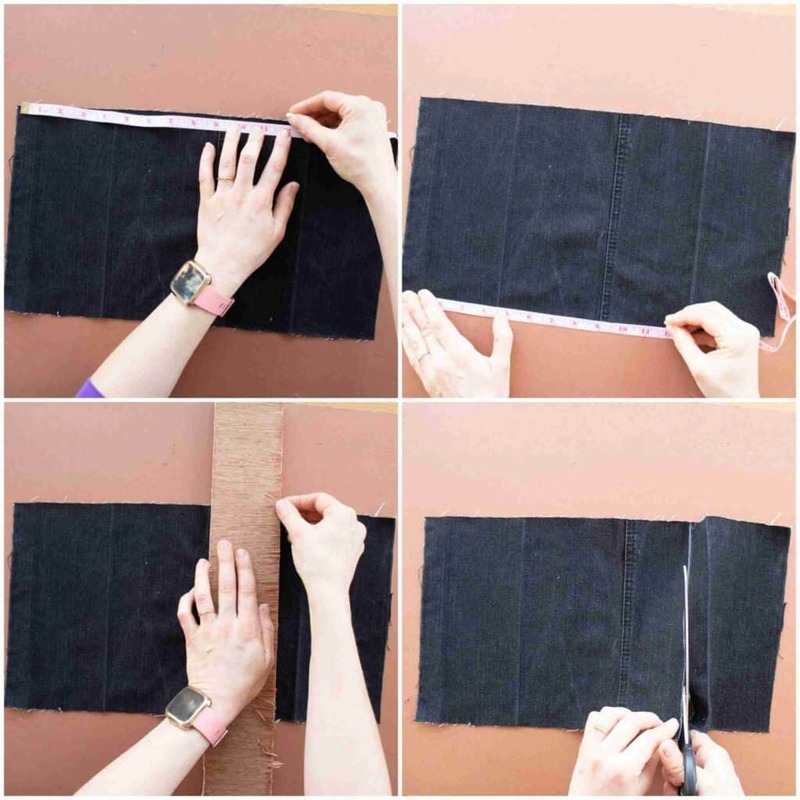 Then ensure you place your Velcro in the centre, peel the self adhesive strip if using and sew as shown below. If not using self adhesive, a glue gun helps fix temporarily as pinning Velcro is tough. TIP: It’s very easy to get carried away and forget this step. If so, it still can be done, but will take a lot of manoeuvring while the zip is open. 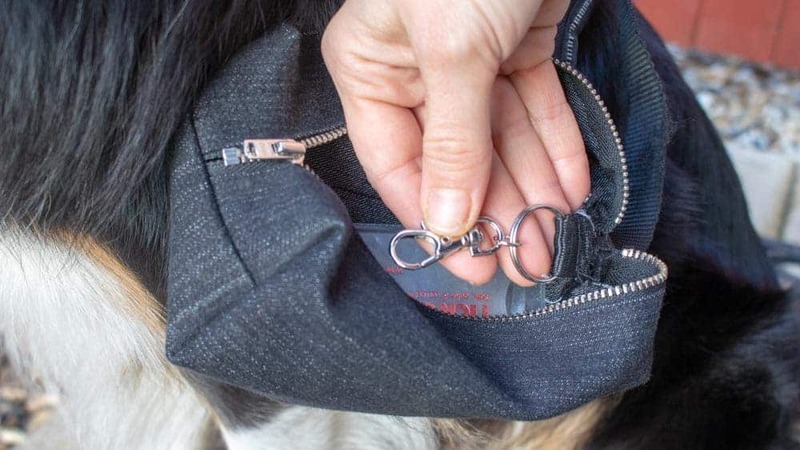 If you’re here to follow for your second pouch, most importantly you will need to decide whether you want the closed zip to facing forwards or backwards while on your dog. I think it’s more visually aesthetic facing forward with the strap attached. With that in mind, ensure your Velcro is on the opposite side and don’t copy exactly what you did for your first pouch like I did. Once you’ve got your Velcro strip temporarily in position, sewing it down is a piece of cake. A fine sewing machine needle will help, such as the denim needle mentioned earlier. And using black thread (throughout), just sew using a basic running stitch along the inside edges from the right side. You don’t have to be that neat and tidy as the stitches won’t be visible from the front. Also, it’s a good idea to go over it twice to make the stitches stronger. 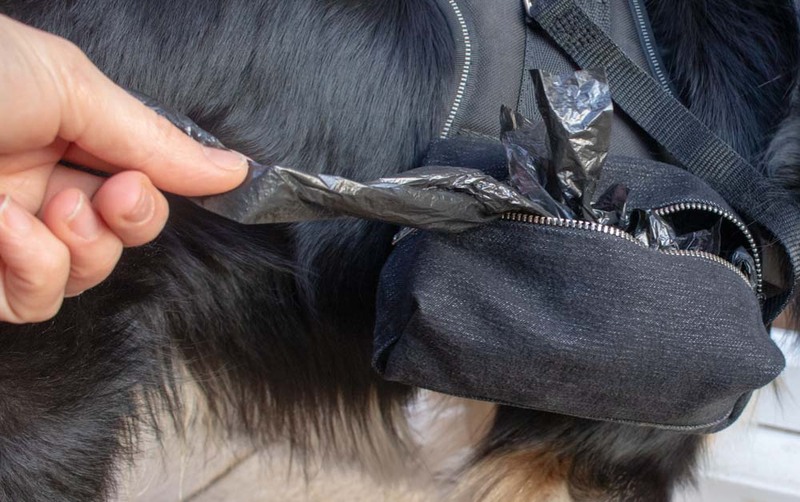 TIP: Ensure you’re sewing the correct Velcro loop that fixes to your Julius-K9 dog harness. We now need to fix the other side of the zip to the fabric. 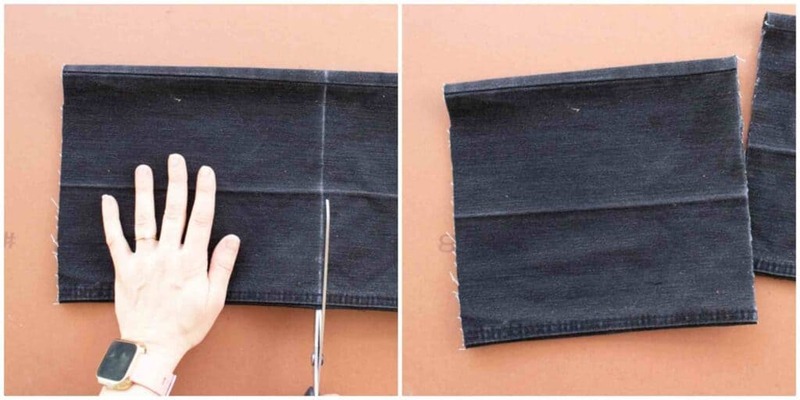 To do this, partially close the zip, fold the denim in half where the right sides of the fabric meet. (Or, if looks like an inside out jean leg). 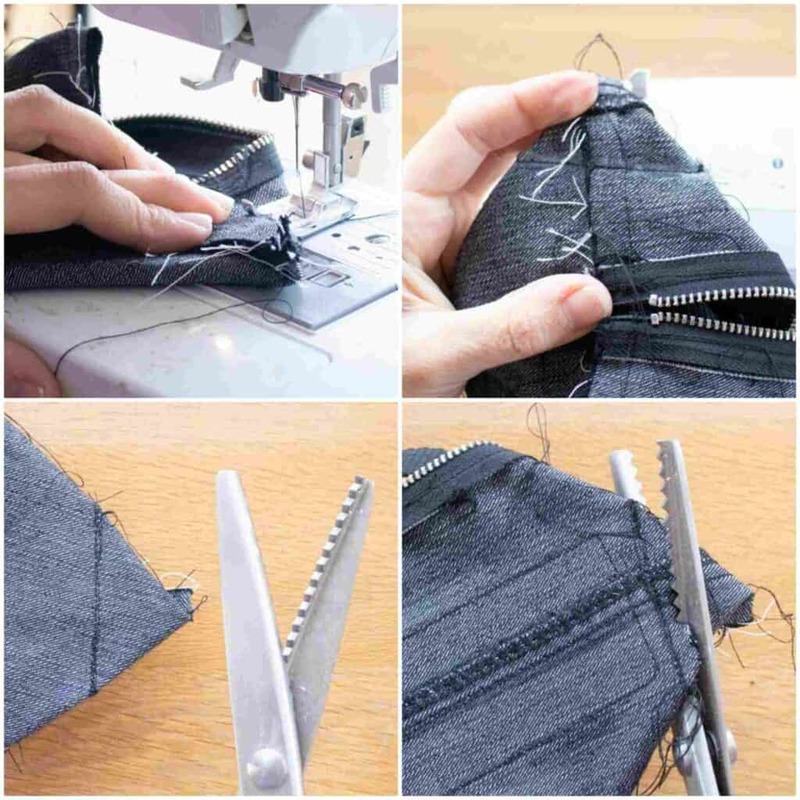 And just like before, ensure the second half of the zip faces the fabric. Then while the fabric is laid flat (see 3rd photo above), sew as close as you can to the zip. Again, you’ll need to stop and start to move the zip puller when it gets in your way. Now you’ll need to repeat the press turn the denim back to the right side (not inside out), followed by pressing and sewing. However, it will be slightly tricky with a zip, but I prefer these with a stopper as some pullers can be incredibly hard to put back. However, just take your time and it should look like this below. 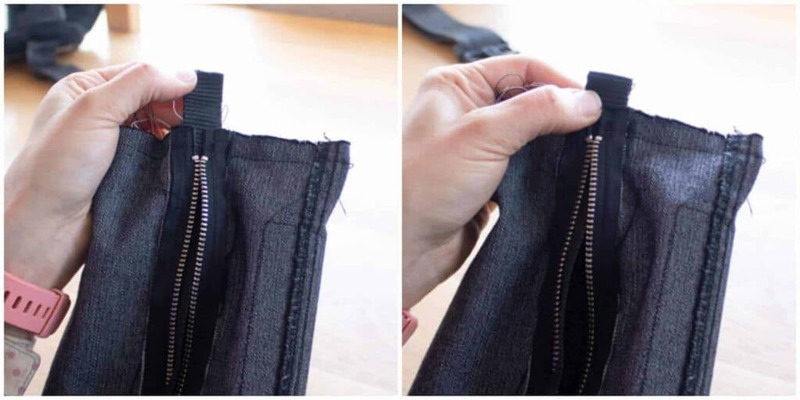 TIP: You’ll need to carefully and slowly do this as the zip makes it a tight process. To create attachments, I found the best way was to buy two Poundland dog leads with metal hooks. They don’t need to be super strong, so value ones are perfect for this. Now turn the pouch out and line up the Velcro areas on the pouch and harness so it sticks. 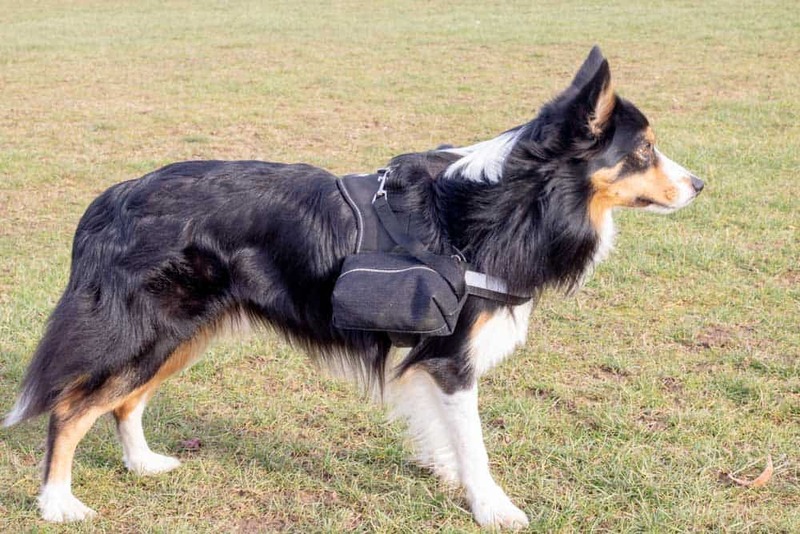 Then attach the dog lead to see how long you need to fix to your pouch and cut. Note: this Julius K9 harness is a size 0, so you made need longer. I cut my leads down to 12” length. This also included a 1.5” allowance to sew in to the seam and fold over. We now need to sew the attachment in to the seam of the pouch. To do this, turn the pouch inside out again, making sure the pouch is closed (so you know which side the puller stops). 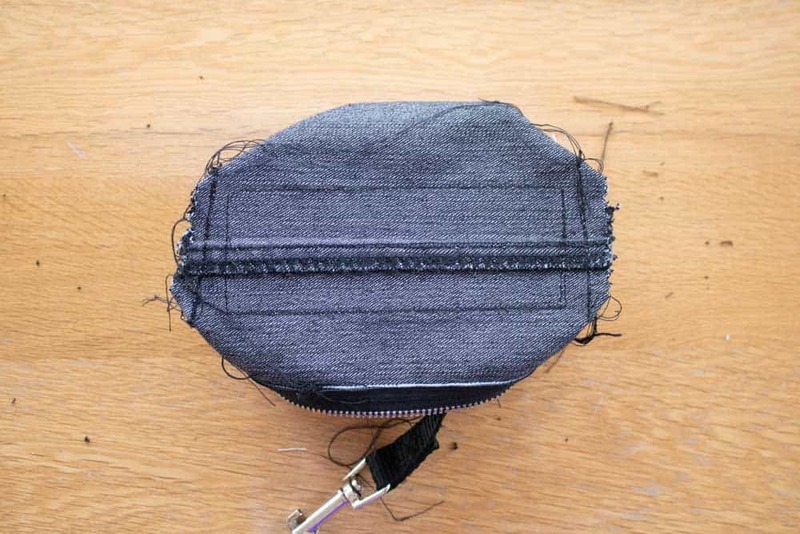 Then place the cut up lead inside the pouch, leaving over an inch protruding on the side where the zip pully ends. Now pin in to place, ensuring it’s also dead centre. Now the attachment is pinned in to place, and the pouch is still inside out, open the zip ever so slightly so you can open it easier later. Then using a basic running stitch again, sew along the side, leaving around a 1cm seam allowance. You can see how the attachment looks when done below. Then after checking on my attachment, I flipped it back and sewed the opposite end. To ensure the cut up dog doesn’t fray from the inside, I folded over the tab I left hanging out. Then I went over it with a couple rows of stitches. This could also be used later as an internal hook attachment. Right now, we have a flat pouch with a zip in the centre. This style could easily be used as a pencil case or pouch for any nick naks. But for my DIY dog backpack, I’ll be creating a box style. To do this, we need to pinch and flatten the corners as below. So where the seam meets, create an even A shape and flatten down on a table. Now mark 4cm on either side from the pointy corner. Then using a ruler or straight egde, draw a line between those marks with pen or chalk as below. Now, again, with a basic running stitch, sew over the mark you made. I also sewed over this line again and reinforced the stitches at the top and bottom to prevent the thread coming away. Repeat this for every corner. 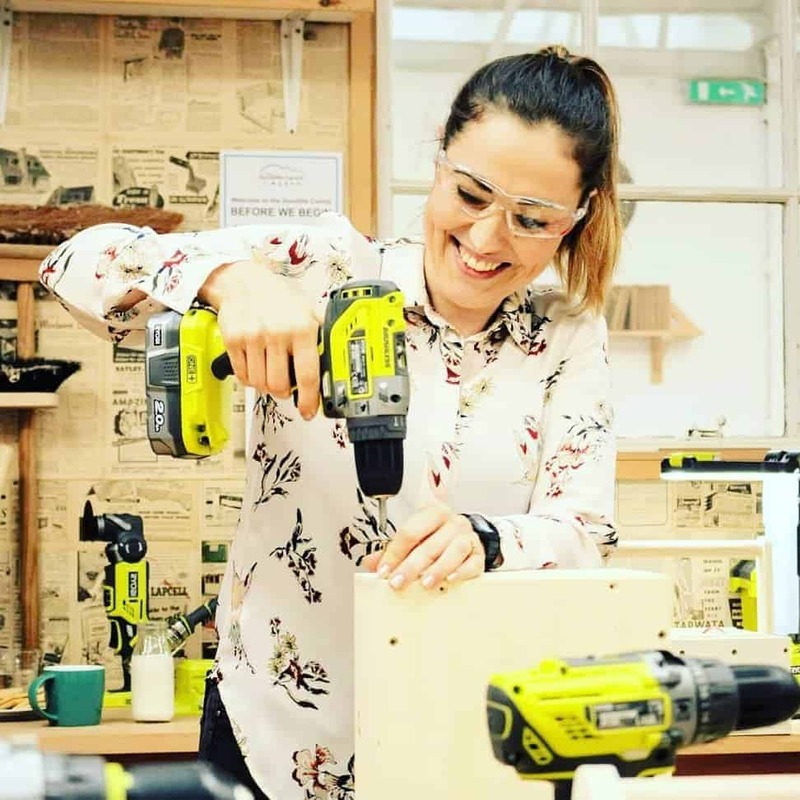 However, before cutting away the excess bulk, it’s a good idea to turn back inside out to check if you’re happy with your corners. Then leave a seam allowance of around 1cm and cut away from your stitches with pinking shears to prevent fraying. 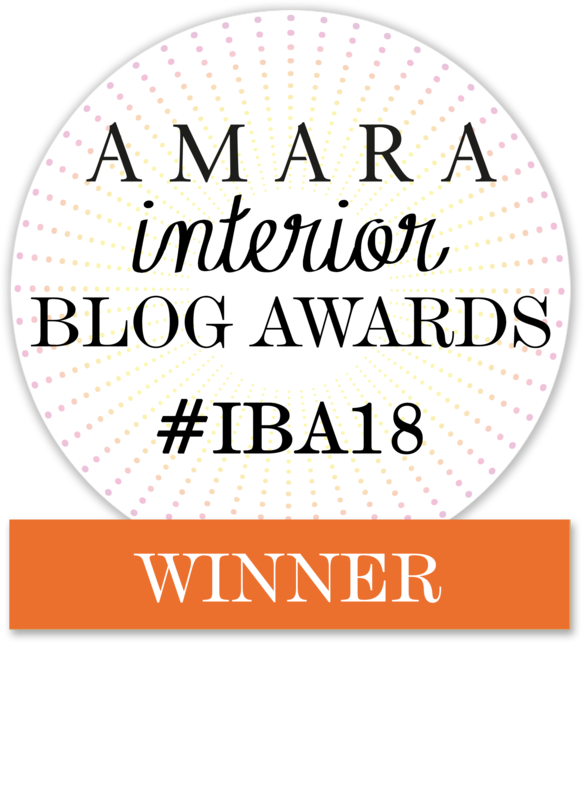 And this is how it should look like on the inside! 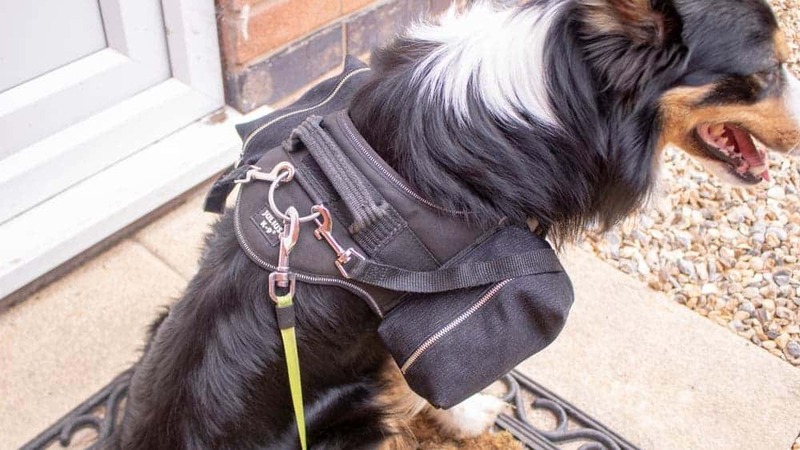 HOW MUCH DID MY DIY DOG BACKPACK COST? Obviously I already owned the sewing machine, thread and recycled fabric. But put those things aside, when summing it all up, my total spend was £7.95. In the long run, I much preferred this price against paying £35.37 for Julius K9 ones on Amazon. Comparatively, this gave me a saving of £27.42 and knew it would be a fun learning experience too! In addition, a cool idea someone suggested on my Facebook page was to add reflector strips on the sides. As a result, I’ll definitely look for something I could sew on. On the whole, we are very happy with our new solution! 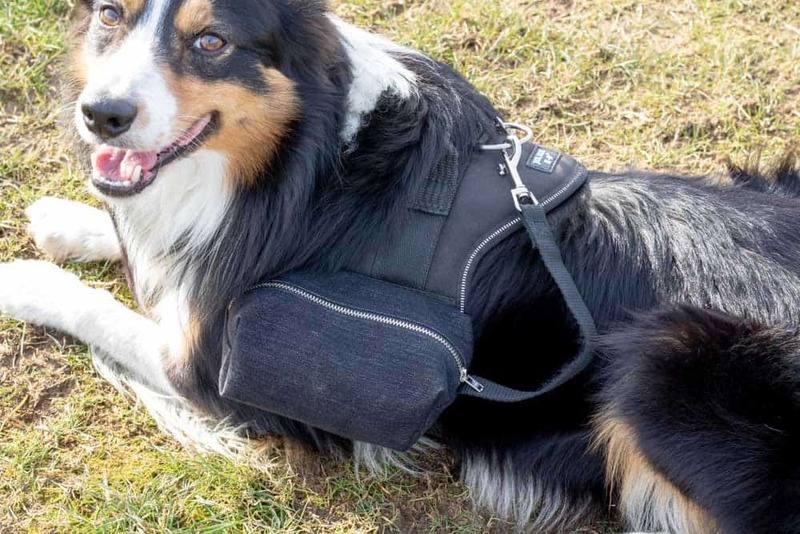 We usually take Hans out every morning, but it will be great for him to carry back ups or poo bags, among other things. Disclaimer: This project is not sponsored or associated with any brand in any way. However, all Amazon links are affiliate links.